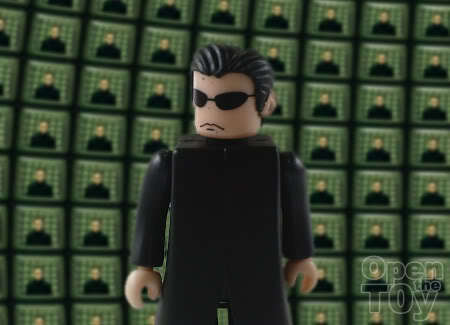 Ten years ago today, The Matrix was out in the theaters and it left its mark in the history of science fiction movies. 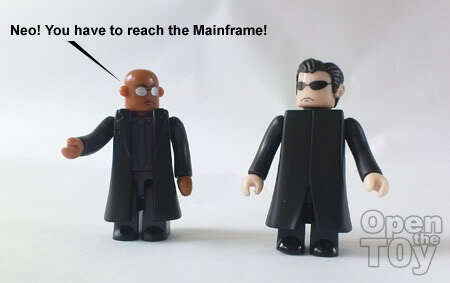 I'm pretty sure many of us have watched the whole Matrix trilogy at least once. If you didn't, you don't know what you're missing out. I love the 1st movie which I watched over and over again for about 10 times. 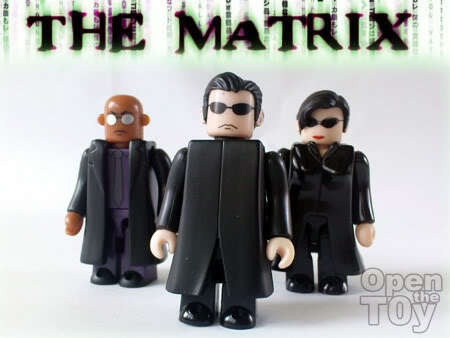 As for the Matrix toy, I only got hold of 3 from Kubrick: Neo, Morpheus and Trinity. I got them as I find them really cute and cool. All 3 of them are not the rare ones but they are good enough for me. 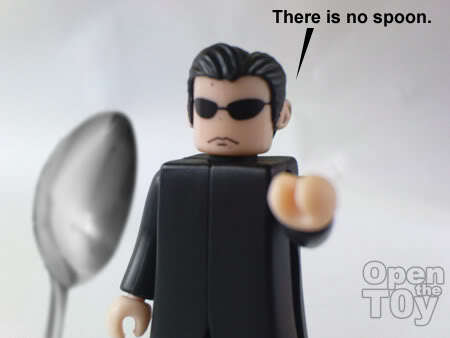 What do we remember best of The Matrix? 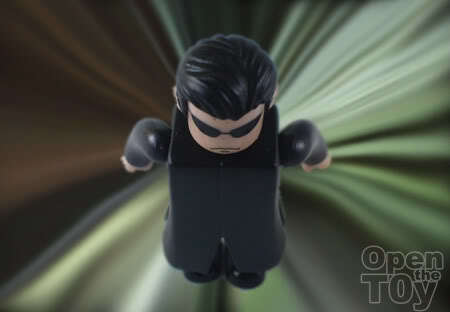 The ground breaking ideas and the "Bullet Time" motion of Neo dodging the bullets was the first one that pop to mind. Trinity did some cool slow motion shooting too. 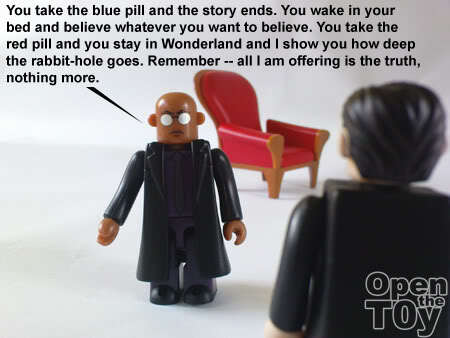 And Morpheus, doing what he does best. Always delivering deep and heavy speeches which sounded cool in part 1. However this is my personal favorite and was in part 1. Among the Trilogy, "Matrix Reloaded" seems to be the least popular of them all. Partly because it has to do with the part of the journey to the Architect. Many got lost in what the Architect was trying to say. 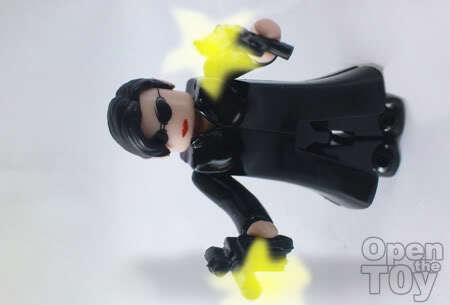 Personally I was put off on the part where Neo and Agent smith fighting scene in a neighborhood compound. The CG was really poor. 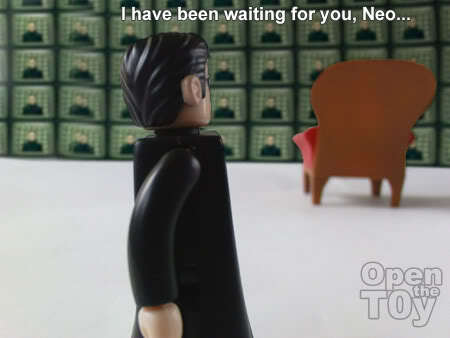 We will start at the part where Neo flew with all his might to the mainframe from Matrix Reloaded. 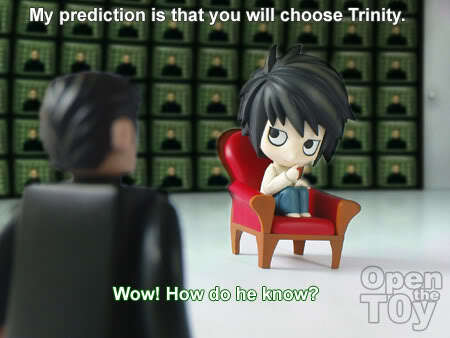 Since Matrix does not have a happy ending, I created one for Neo and Trinity. Everybody loves a happy ending right? 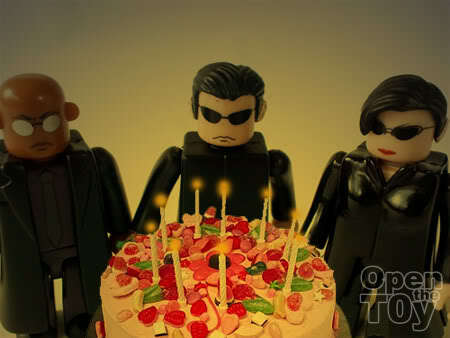 It has been 10 years... A decade, quite a long time...Shall we have a 10 years old birthday cake for them? 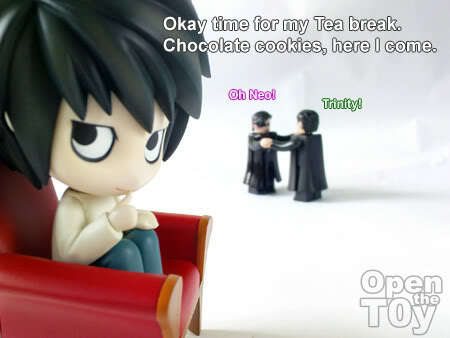 Well I hope you guys enjoyed the Matrix as I do. That is all for today. Good Night everybody! Another outstanding post Leon! You never fail to surprise me! 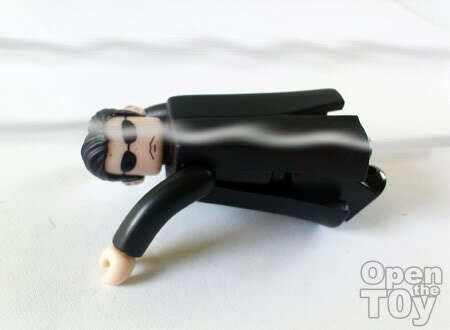 Super cute and cool Kubrick Matrix figures and other figures. Man I loves me some Kubrick figures, I hope to see more of these on your blog! Thanks Dennis. Can you imagine these figure is coming to 10 years old? Thanks! 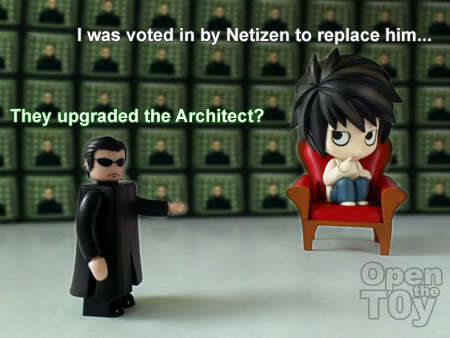 Do go watch the whole matrix esp part 1. Is really cool. I thought they were new toys you just bought. These are going to be vintage toys man! Very funny, lol. Great post. effing awesome comic strip leon! keep em' rollin for more! Glad you enjoy it Shin.